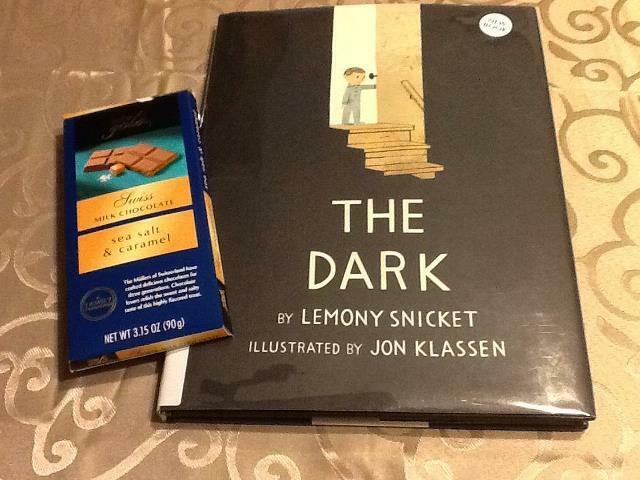 The Dark by Lemony Snicket and Illustrated by Jon Klassen is a book that goes well with chocolate. You may need some sweets to face your fear of the dark. I know I usually do. Okay. This is one of those books that I don’t want to review because I feel like it may give something away. So I’m just going to make you want to read the book by showing you the book trailer. I can’t wait to see how my second grade students react to this book. I know my students adore Jon Klassen’s picture books. So I’m looking forward to sharing The Dark with them. 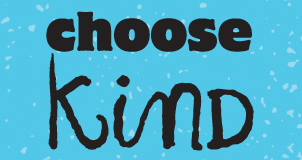 And you may have heard of a little known author named Lemony Snicket. Check out his website here. What did you think of The Dark? How did your students feel about the book? I’m looking forward to reading your comments. This entry was posted in Treat Tuesday and tagged Jon Klassen, Lemony Snicket, The Dark, Treat Tuesday. Bookmark the permalink. I LOVED The Dark! It’s creepy tension is terrific and Klassen’s illustrations are awesome. For a few bucks you can get the Neil Gaiman’s audio for it . . . as you can imagine, it’s terrific. I can’t wait to listen to the audio! Neil Gaiman is the perfect choice to read The Dark!